Performing fast dry carpet cleaning San Diego is an art form. Consequently, it seems like getting carpet dry quickly is not something all companies in our industry seem to do right. The process is relatively simple though. It just requires some knowledge and experience to perform correctly. Nonetheless, one of the most highly sought after services by consumers. There are two or three different types of “dry carpet cleaning” methods available. One pertains to commercial carpet, and the other residential. All have their pros and cons. Learn about the differences and the advantages below. Commercial carpet cleaning uses a method referred to as “dry cleaning.” This involves the use of a scrub machine or floor buffer. Technicians use a combination of scrub pads and bonnets to clean with. Cleaning solution is lightly misted on carpeting, then scrubbed in. Another way is by using encapsulation liquid applied to the carpet while scrubbing. A problem technicians experience sometimes is pile distortion. When bonnets and scrub pads aren’t kept well-lubricated while in use pile distortion occurs. 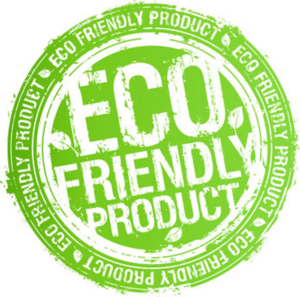 Some encap cleaning products are solvent based, so the short evaporation time makes for quick drying of carpet. There is, however, no extraction with commercial dry cleaning. Make no mistake about it. Moisture is very much involved in the process. It is just low moisture. Encapsulation formulas trap dirt and grease by design. Thus, drying a bond around it and holding it in suspension until the next dry vacuuming takes place. The advances in technology for these detergents has soared over the last few years. Another cleaning method in the commercial dry cleaning world is the use of an absorbent dry compound. 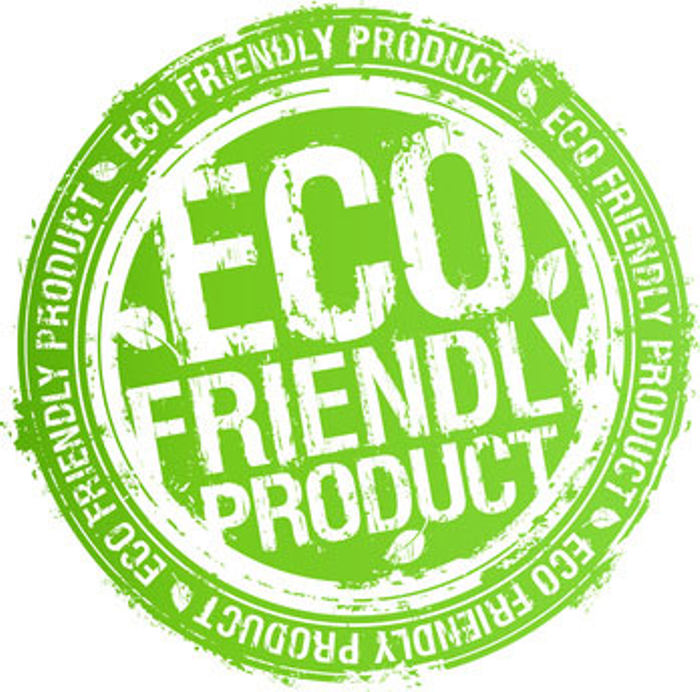 Usually a powder form cleaning agent designed to absorb dirt. Absorbent dry compound is spread evenly over carpeted area. Then brushed or scrubbed in, and vacuumed soon after. As a result, this leaves carpet clean and dry. The main technique generally used to clean residential carpet with is hot water extraction, also known as truckmount steam. A scrub machine is also often times used with this type of cleaning. Primarily used for traffic lane treatment and conditioning. 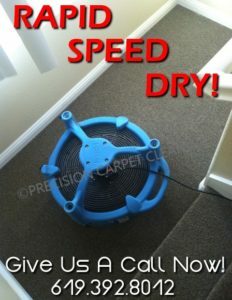 There are various other tools for drying carpet fast used in residential homes as well. The methodology behind this approach is all about getting carpet to dry fast, as opposed to soaking it. This is where the confusion between the two can factor in and play a role for consumers. The two main components to getting carpet dry quick in this arena are powerful extraction, and climate regulation. Controlling the temperature and the movement of air are essential ingredients in this recipe. The introduction of moisture into an indoor environment comes by way of steam vapor. It is also comes by way of the initial pre-conditioning phase. Drying the carpet promptly begins by using professional ethic such as proper wanding technique. Dry strokes or “wand passes” are important in terms of speeding up the drying process. It’s especially important after simultaneously injecting and extracting liquid detergents deep into carpet. Extracting the most amount of liquid possible is the key factor here. From there it’s just a matter of setting up special industrial strength equipment to start circulating hot dry air in, and moist air out. The carpet cleaner sets up and bing bang boom; carpet’s dry! Air conditioners are also great in dry carpet cleaning situations. Great in steam cleaning applications too. They pull moist air out of a habitation extremely well. This helps tremendously for getting carpet to dry quick. Those are the differences between the two types of cleaning for carpets. Both involve incorporating moisture. It’s just a question of which one you’ll need for your application.